A few days ago we received an email from a teacher asking about timeline creation tools to use on Chromebooks with students. From the numerous web applications we have reviewed so far, the three tools featured below are probably the best ones to use with your Chromebooks. Tiki-Toki has the added advantage of 3D timeline view making your timelines appear more shining and lively. Tiki-Toki is easy to use and does not require any software download. All you have to do is sign up for a free account and start designing your timelines right away. 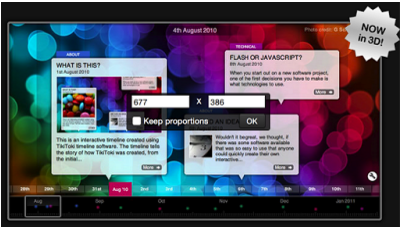 The free account includes the basic features to create a timeline and is limited to one timeline only. There is however a special account for teachers for $125 a year which includes access to all new features. 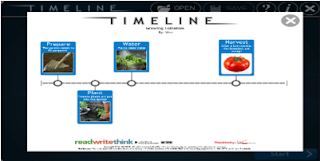 Timeline, as its name indicate, is a very good tool from Read Write Think that you can use to create web based timelines. 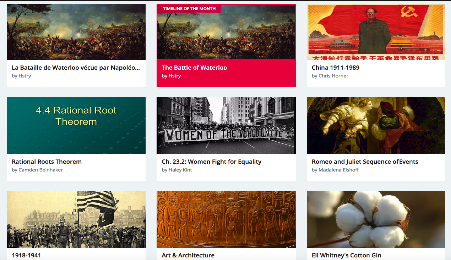 The tool is very simple and students can use it to graphically represent a sequence of data (events, facts..,etc) along a chronological line. These timelines can be arranged by by date, time or event.To start creating a timeline, head over to this page. Type in your name and project title then hit “start”. Now click anywhere on the timeline to add an item at that location. To edit an item, double click it. You can then customize the content and placement of your items as you like. Drag to adjust positions, click on the bin icon to delete and when you are done click on “finish” to save your work to your computer or share it with others.